In the space of seconds early Thursday morning, the massive party at SXSW 2014 turned tragic with the bloodiest accident to mar the music, film, and technology festival’s 27-year history. The Toyota struck several vehicles, including a scooter; the man and woman riding that vehicle were pronounced dead on the scene, according to police. Twenty-three others were hurt when the vehicle struck them before finally coming to a stop; the injured were taken to three area hospitals, five of them in critical condition. The driver tried to continue fleeing on foot before he was tasered by police. Police say he will be charged with two counts of capital murder and 23 counts of aggravated assault. Neither his name nor those of his victims have yet been released, but police announced a news briefing for 10:30 a.m. Central. 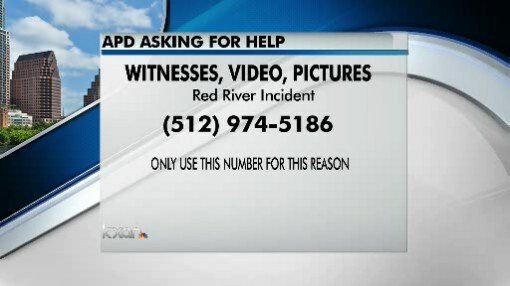 As befits an event known for cutting-edge technology, dozens of pictures and eyewitness accounts of the incident have spread via social media, and police have set up a specific number for people to call if they have pictures, video or information about this situation. For more information as it breaks, visit KUT.org, the Web site for WBEZ’s public radio sister station in Austin.